→MARTIAL LAW REMEMBERED | Where did Marcos go wrong and when did we start forgetting? MANILA, Philippines — Former Sen. Francisco “Kit” Tatad still insists that President Ferdinand Marcos declared martial law on September 21, 1972 because of the alarming “communist threat” in the country. “I was in the Cabinet, and who would oppose martial law — unless you are on the other side,” says Tatad, a diplomatic reporter for the Manila Bulletin, who at 29, was asked by Mr. Marcos to be his press secretary in 1969, the year he won a second term. Mr. Marcos’ 1969 victory was by then also already tainted with alleged fraud, and his administration was being branded as corrupt. 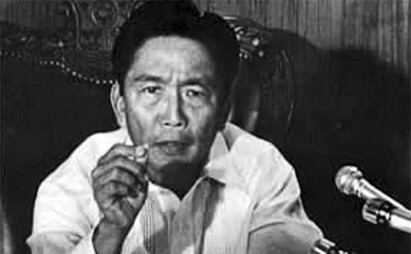 In fact, Alcuaz recalls that shortly before martial law was declared, he resigned as chair of the Kapisanan ng mga Sandigan ng Pilipinas (Kasapi) to focus on his work with the Kapisanan ng mga Anakpawis ng Pilipinas, which was actually a political party and a possible “third force” that would field — or support — a presidential candidate. What puzzles — and bothers — Almario is the way his successors continued to enforce Mr. Marcos’ repressive decrees and order despite his “totally destructive” legacy to the country, and all the while denouncing martial law with vows of “Never again.” How, indeed, can a proclamation be disowned yet its legacy and trappings embraced? Apart from The barangay system, Almario notes how Mr. Marcos’ Presidential Decree 1877 — or the Budget Reform Act of 1977, continues to hound the bureaucratic system. “It is already included there what would be given lump sum to each lawmaker. But if you are not doing what he wants you to do, he will withhold the lump sum,” says Almario. In that way, the President held control over the country’s lawmakers. It’s a legacy continued, and refined by predecessors up until the present. Ninoy Aquino exposed Oplan Sagittarius, the alleged master plan of a “multi-faceted” operation for the declaration of martial law. It allegedly provided the legal basis for Proclamation 1081 by enumerating the conditions and situations that made martial law necessary. That expose, which made the cover story of the Philippines Free Press, put Ninoy even more surely in the crosshairs of the dictator’s minions.